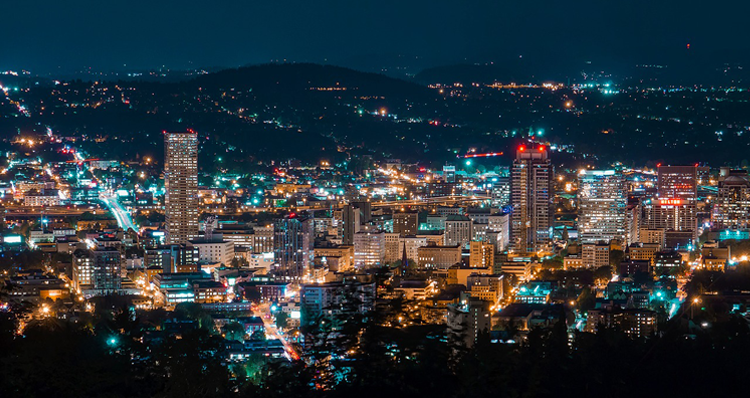 Oregon and Washington are home to a myriad of spectacular waterfalls, from the soaring Multnomah Falls attracting over two million visitors a year to lesser-known waterfalls tucked back in a lush forest. With over 200 waterfalls dotting the landscape of the state of Oregon (and many more in Washington! ), the task of tracking down these natural wonders can be quite daunting. Track down these sparkling waterfalls from Northwest to Central Oregon and all the way up to Southwest Washington, plus a few stops in between. Pay attention to the few hidden gems along the way! Some of these final waterfall destinations feature a handful of hidden waterfalls on the way or just around the corner. Some are accessible by car, while some can only be seen after a substantial hike. But they all share one thing in common — the ability to wow its beholders! If you’ve lived in the Central Oregon region for awhile, it’s likely you’re familiar with the gorgeous Tumalo Falls, considered the tallest waterfall in and around Bend. But you may not realize that there are several (nine, to be exact!) waterfalls dotting the creek beyond the infamous Tumalo Falls. Take the Tumalo Creek Trail to Tumalo Falls, then continue for about 3 miles to encounter several other sparkling waterfalls of all shapes and sizes. Once you reach the intersection with Swampy Lake Trail, you can turn left and head towards the trailhead via Bridge Creek to make a loop! 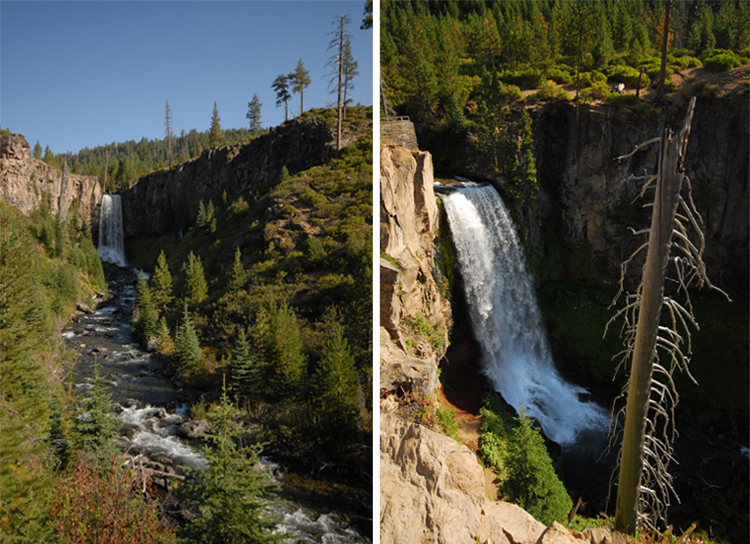 This waterfall adventure in the heart of Central Oregon should not be missed. Salt Creek Falls is a massive and spectacular waterfall located in a canyon near Willamette Pass in the Willamette National Forest. In fact, at 286 feet, Salt Creek Falls is the third-highest waterfall in Oregon, after Multnomah Falls and Watson Falls. The waterfall was formed by a combination of ice age glaciers and lava flows, which created the columnar basalt canyon walls that surround Salt Creek Falls. It is considered one of the most powerful waterfalls in the state of Oregon! You can see the falls by traveling along the short paved trail to the primary observation platform located just 50 yards from the parking lot. Or take the short, non-paved hiking trail traveling down the canyon to get a lower viewpoint. See some more breathtaking sights and the impressive Diamond Creek Falls by hiking the 5.4-mile lightly traveled Diamond Creek Falls Trail! Encounter three breathtaking waterfalls along the Lewis River Falls Trail, a 6.7-mile out and back trail near Cougar, Washington. First, you’ll encounter the Lower Lewis River Falls, which are larger than they may appear in photos. The falls measure 43 feet high and 200 feet across, and there are several vantage points from which to take in their beauty and splendor. Next, you will pass the Middle Lewis River Falls, which has a more limited viewpoint but gorgeous and inspiring scenery in every direction. The final of the three waterfalls is Upper Lewis River Falls, located just upstream. These impressive falls tower overhead at 58 feet high and 175 feet across. There are several other waterfalls dotting the landscape around the trail, including Lower Copper Creek Falls and Taitnapum Falls, which is located up the river from Upper Lewis River Falls. Just west of Sisters in the majestic Cascades lies Sahalie and Koosah Falls, two distinct waterfalls located along the McKenzie River. 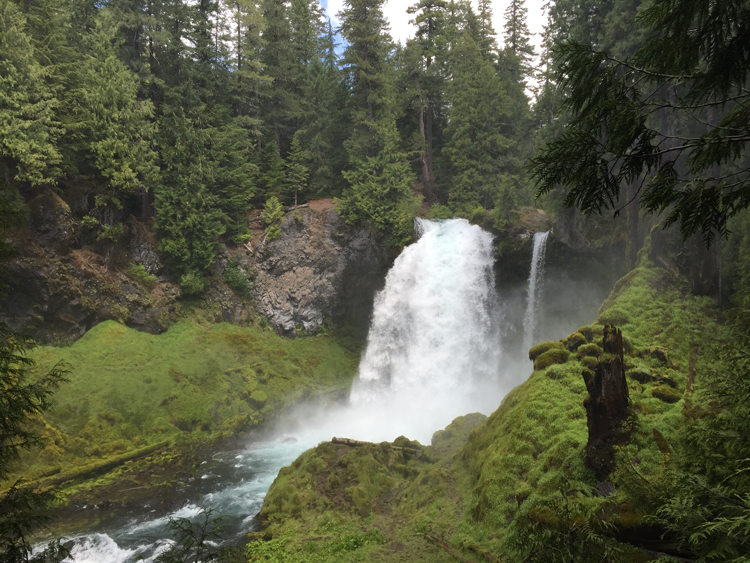 Traveling along the Koosah and Sahalie Falls Trail is a wonderful way to see both prominent waterfalls while encountering other spectacular natural wonders of this area along the way. The trail is a 2.2-mile moderately trafficked loop suitable for all skill levels. Sahalie Falls is a bit larger, measuring 100 feel over a natural lava dam, while Koosah Falls drops about 70 feet into a deep pool. If you’re simply passing through, you can view Sahalie Falls quickly from the viewing platform located less than 100 feet from the parking lot. 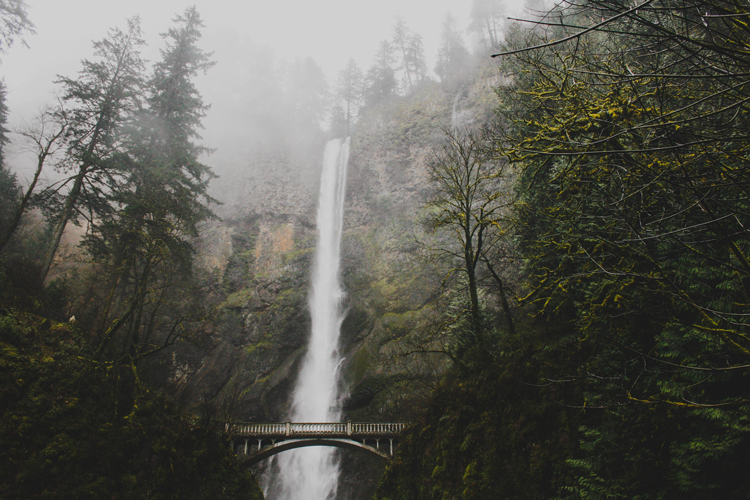 No list about waterfalls in Oregon is complete without mention of the renowned Multnomah Falls. Considered the largest waterfall in the state, Multnomah Falls measures 620 feet in height, spanning two tiers. Attracting more than two million visitors a year, this year-round waterfall in the Columbia River Gorge is the most-visited natural recreation site in the Pacific Northwest. Visitors may easily access the falls in the Benson State Recreation Area, which includes a bridge spanning across the lower tier. 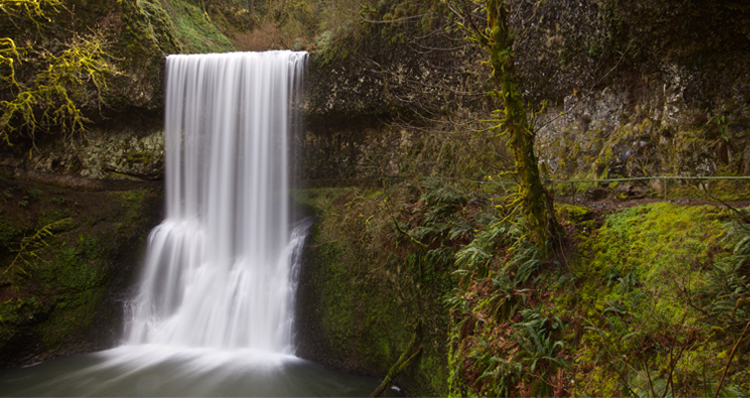 Or you may choose to explore the falls further by traveling along the Multnomah Falls Hike to Multnomah Creek. This 5.5-mile journey will take you to the top of the falls along Multnomah Creek and eventually to Weisendanger and Ecola Falls. On your way to Multnomah Falls, opt to take the Historic Columbia River Highway Scenic Byway, considered one of the most scenic drives in the country. 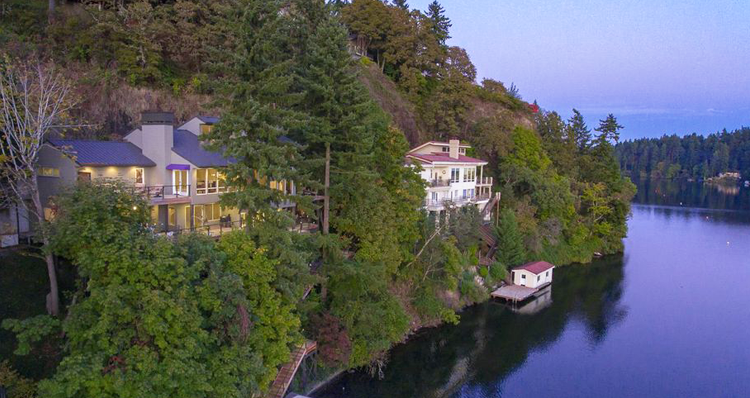 Along this 70-mile highway, you will discover historic monuments and buildings, fish hatcheries, and a number of jaw-dropping overlooks. Plus, you’ll pass several beautiful waterfalls, including Latourell Falls, Shepperd’s Dell Falls, Bridal Veil Falls, Coopey Falls and Fairy Falls. Step off the beaten path with a visit to Panther Creek Falls, considered one of the most impressive waterfalls in the Gorge region. 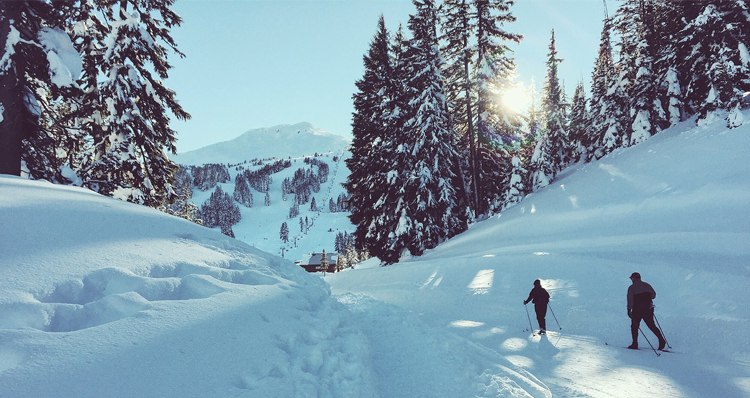 This hidden gem is tucked inside the Gifford Pinchot National Forest and is only accessible with a short hike to a viewing platform. Panther Creek Falls is one of the most unique waterfalls in the area, as it features two tiers of segmented waterfalls, the largest of which is 102 feet tall. Each of the falls cascade into the same basin. Continue the sightseeing by coupling this hike with a visit to nearby Falls Creek Falls. Wind through a 30- to 60-year-old forest for about 1.5 miles along Falls Creek. You will then encounter a cable suspension bridge crossing a rock gorge, offering breathtaking views of Falls Creek. After traveling uphill for a little less than a mile, you will reach the base of this jaw-dropping waterfall! Considered the largest state park in Oregon, Silver Falls State Park is home to some of the most jaw-dropping natural wonders in the region. One of the easiest ways to sample some of the best waterfalls in this 9,200-acre park is by traveling along the Trail of 10 Falls, which showcases 10 of the park’s best waterfalls and one of the broadest collections of flora in the state. Begin your 7.8-mile journey at North Falls Trailhead and travel west on the Rim Trail toward the popular 177-foot South Falls. Continue along Canyon Trail to discover the remaining falls and various swimming holes. You’ll end up at the 136-foot North Falls, which features a unique undercut cliff that dramatically amplifies the roaring sound of rushing water. 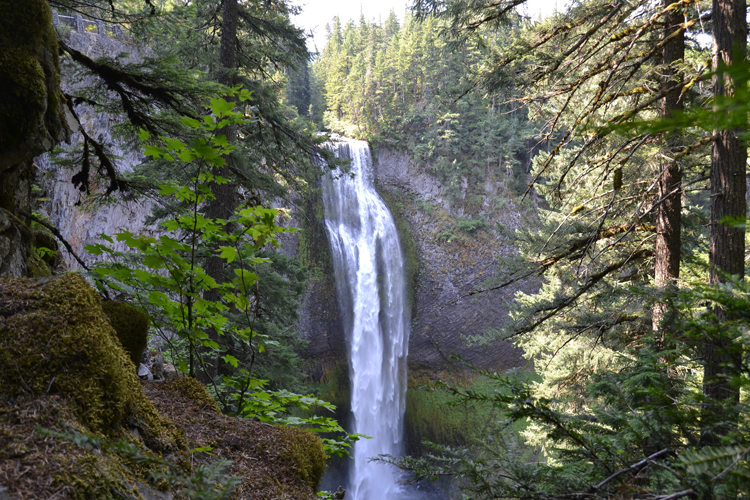 Not far from Crater Lake, you’ll find the majestic Watson Falls, considered one of the tallest waterfalls in the state. This stunning waterfall in the North Umpqua River plunges 272 feet to its moss-covered base below, and is easily accessible for visitors. Travel along the short 0.8-mile round-trip hike leaving directly from the parking lot, and climbing up a somewhat steep yet well-maintained path. You will then cross a series of bridges to reach the base of Watson Falls towering overhead. While you’re in the area, make sure to stop by Toketee Falls, located just up the highway. These 113-foot two-step falls are a sight to see, and are easily accessible via the observation area less than a mile from the trailhead parking lot. This is a heavily trafficked trail, but provides a quick and easy way to see one of the area’s most beautiful natural wonders. Which waterfalls do you love exploring? 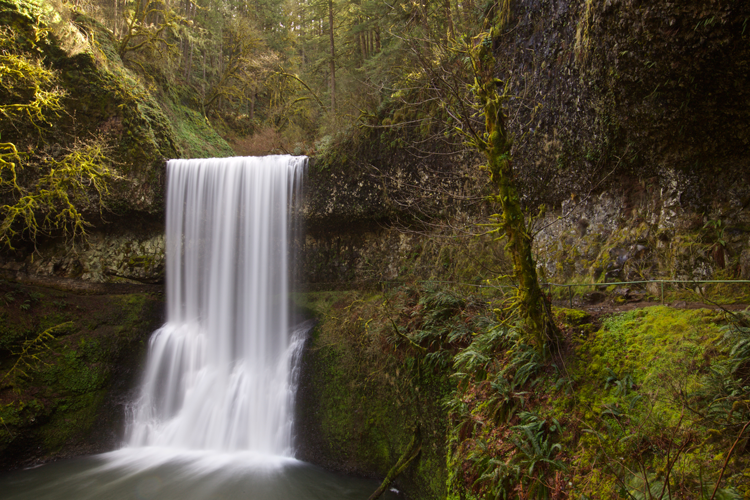 Let us know which Oregon waterfalls are your favorite! We love discovering more breathtaking sites!